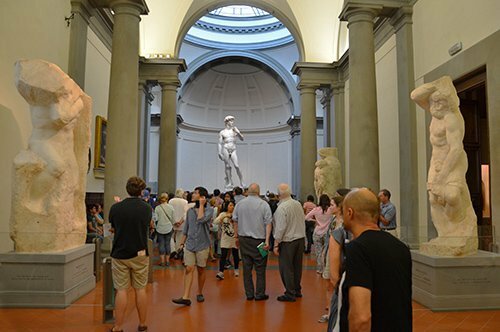 Michelangelo's David - Accademia Gallery: book your tickets now!  Michelangelo's David - Accademia Gallery: enjoy your tour with a private guide! The Accademia Gallery is one of the most visited art galleries in the world. The interior path allows us to admire in the first room, called Anticolosso, the plaster of the Ratto delle Sabine by Giambologna whose original work is exhibited under the Loggia dei Lanzi. Continuing through the Gallery of the Prisoners or Gallery of the Slaves, we can see the exhibition of the unfinished male sculptures of Michelangelo, which portray the slaves "the prisoners" as they give the impression of being trapped in the stone looking for the way out of it. This last environment allows us to reach the Tribune, a square room with a skylight in the ceiling, created to house the most famous work in the Gallery: Michelangelo's David. 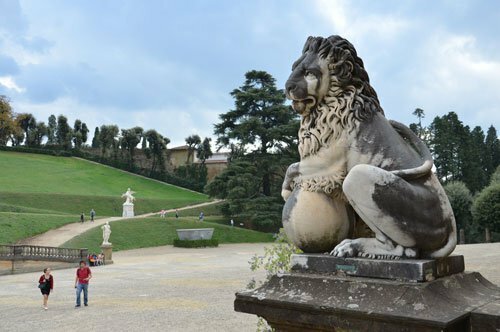 This imposing marble sculpture reaches a height of 517 cm, was created by Michelangelo from 1501 to 1504 and has become the symbol of Florence in the world. 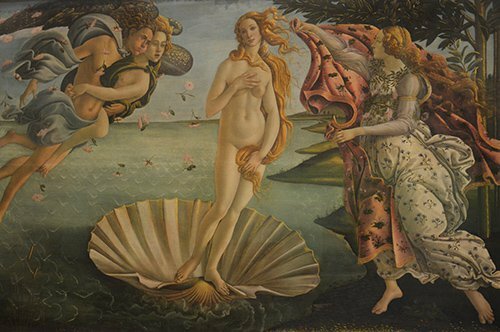 It represents David when he is about to fight against Goliath and is considered a symbol of the artistic perfection of male beauty as Botticelli's Venus represents female beauty. This sculpture that transmits an ideal of moral and rational force, perfectly reflects the man of the Renaissance, the moral force that is also transmitted by the expression of the face that prevails over human rationality to the brute and irrational force. In the Tribune that houses the David we can also see paintings of the great Florentine exhibitors of the 16th century. The other rooms that we find in the Gallery are divided into the Byzantine room, the painting room of the 14th century and the room of the Gothic and Late Gothic paintings. 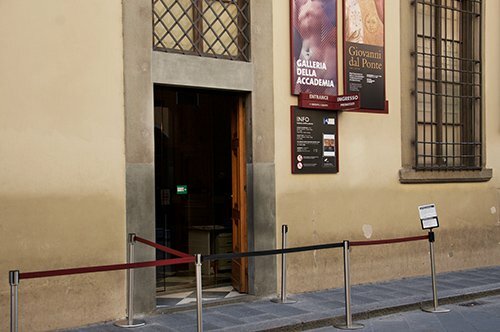 In 2001 the Museum of Musical Instruments was inaugurated, it houses around fifty instruments belonging to the families of the Medici and Lorena that later were transferred to the Conservatory Cherubini and that are exhibited in the Accademia Gallery. In this museum you can admire, among other instruments, the Viola built by the master Stradivarius and still preserved in its original state. The Accademia Gallery was born in the second half of the 18th century so that the students of the Academy of Arts and Design had a place with works of art to practice and experience their artistic attitudes. The gallery was thus enriched with sculptures, plaster casts of classical works and paintings of institutions related to the church that had been closed. 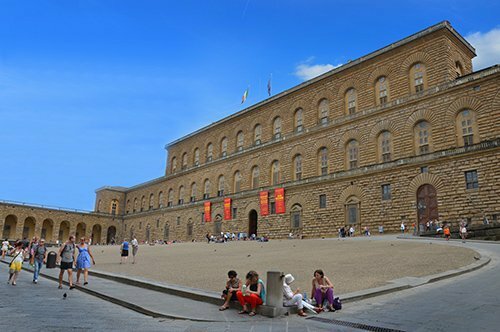 During the period of Florence as the capital, the museum was further expanded and became the first museum of contemporary art where students took the lead by applying the new artistic trends. In 1872, Michelangelo's David was finally transferred to the Gallery, a work that completed the exhibition and attracted visitors from around the world. 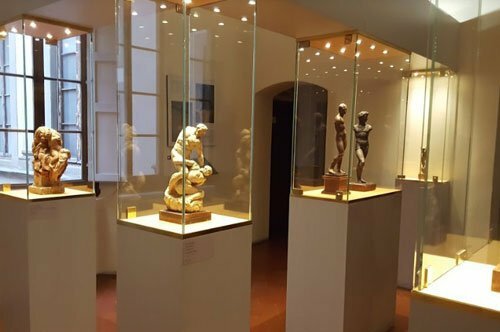 The Accademia Gallery is an art gallery that houses, among others, the famous David by Michelangelo. David is considered one of the most splendid sculptures ever made, it was Michelangelo at the beginning of 1500 who dedicated himself to the realization of this masterpiece by sculpting it in a single block of Carrara marble. To build a space within the Gallery suitable to house the statue of David, the architect Emilio de Fabris built the Tribune. 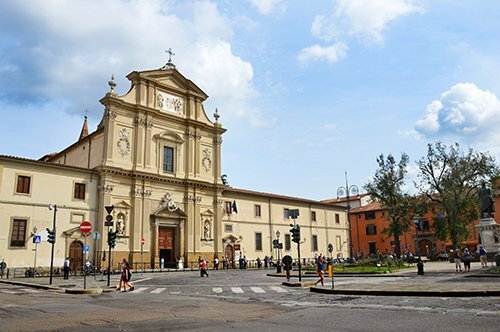 The Accademia Gallery, in its rooms, also houses numerous works of famous artists such as Ghirlandaio, Pontormo, Botticelli, Andrea del Sarto and others. A part of the gallery is dedicated to the Museum of Musical Instruments, where instruments of the Luigi Cherubini Conservatory are exhibited. 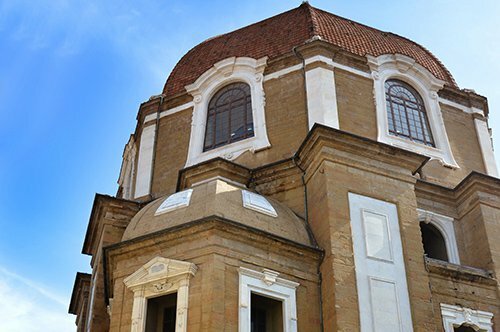 Did you know that the Accademia Gallery, before becoming an art gallery, was composed of two different buildings: the San Matteo hospital and the convent of San Niccolò di Cafaggio that the Grand Duke of Tuscany united to form a single environment for the Gallery. 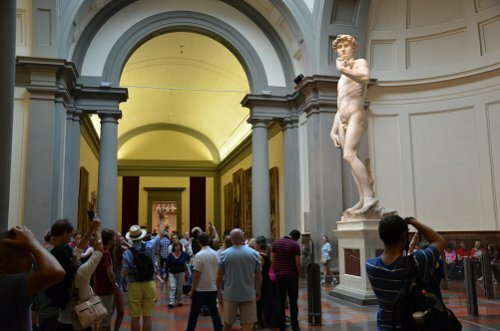 Did you know that the original statue of David by Michelangelo is only the one that is exhibited in the Accademia Gallery, even though in Florence you can admire two reproductions of David, one in the Piazza della Signoria (Signoria Square) and the other in bronze in the Piazzale Michelangelo. 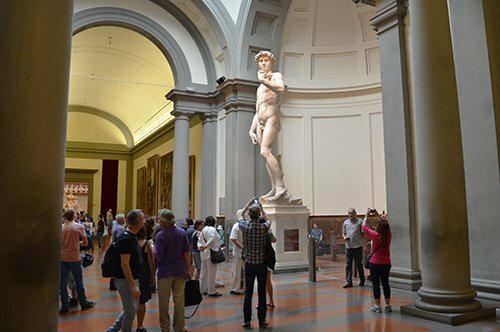 Before being placed inside the Accademia Gallery, David's original statue was exposed in front of the Palazzo Vecchio (Old Palace) in Piazza della Signoria for more than three hundred years. The need to protect this work of art led to the construction of a special Tribune inside the Gallery. 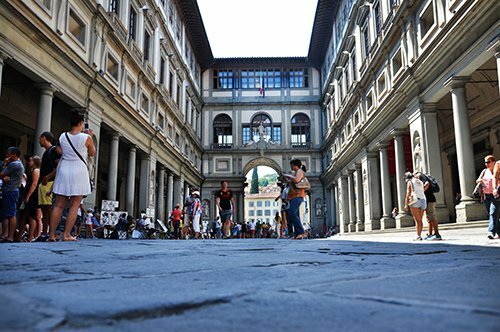 The symbol of Florence, Michelangelo's David, is inside this magnificent museum, for this reason, thousands of tourists from all over the world crowd the ticket offices every year. Fortunately, it is possible to buy the ticket with priority entrance in advance, reserving the admission time. Quick access is also available if you prefer to visit the Accademia Gallery with a private guide. 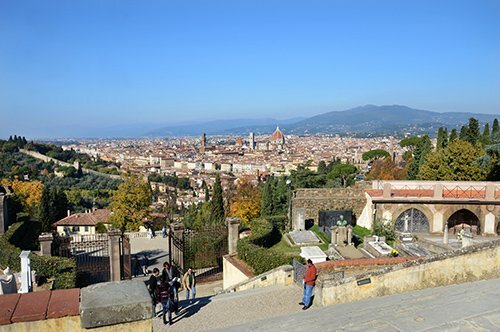 The itineraries of private visits can usually be arranged according to your interests: if you are passionate about the great Michaelangelo, you can combine the visit to Casa Buonarroti with the visit of the Accademia; if instead you want to discover the most beautiful places in Florence, we suggest you spend a day exploring the city visiting the Accademia Gallery, the Uffizi Gallery and the historic city center with your guide. A cheaper alternative to a private tour is a group tour with a fixed schedule. This option can be combined with other museums, walking tours of the city or bus tours. Very close to the Accademia Gallery is Piazza San Marco (St. Mark Square) where we can visit the San Marco Museum, the adjoining church and not far away, the Archaeological Museum. 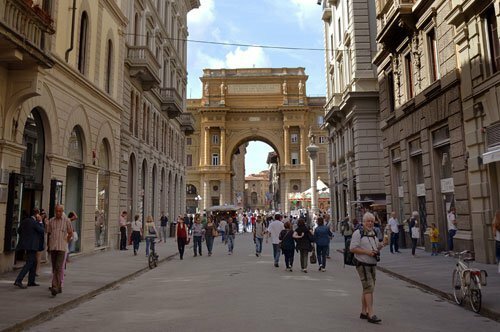 Returning to the center of the city Via Cavour (see your map of Florence), you will pass near the Medici Chapels, the Church of San Lorenzo and in front of the Medici Riccardi Palace, one of the 16th century palaces of the most important Florentine families, but not as big as Palazzo Pitti (Pitti Place) until you reach Piazza del Duomo in Florence. 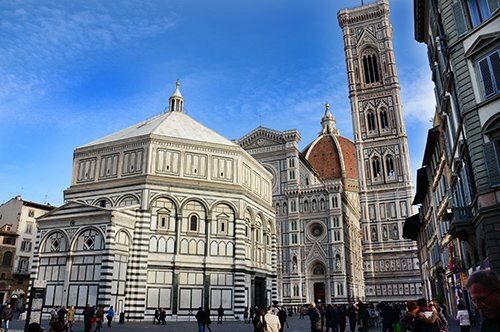 Enjoy a wonderful view of the Cathedral of Santa Maria del Fiore and the Baptistery of Saint John (Battistero di San Giovanni), one of the places mentioned in Dan Brown's novel Inferno. 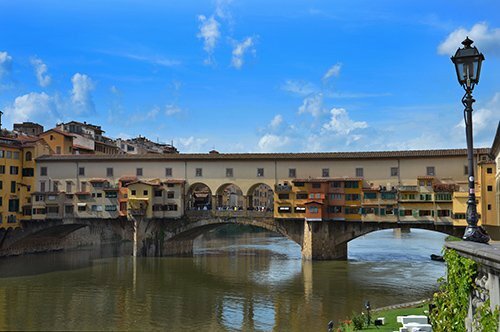 A few minutes on foot it is possible to visit another famous Florentine square, Piazza della Signoria and Palazzo Vecchio, which was the residence of the Grand Duke of Tuscany and which was connected through the Vasari Corridor to the Uffizi Gallery and to the Boboli Gardens passing over the Ponte Vecchio until reaching Palazzo Pitti, where the Palatine Gallery and the Modern Art Gallery are located. 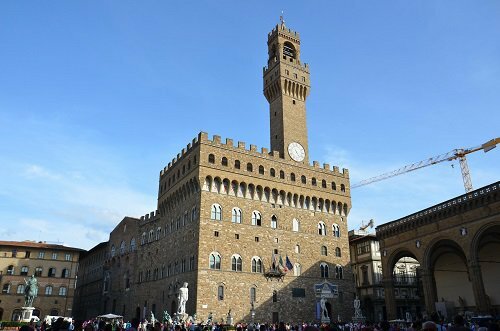 Not far from the Piazza della Signoria is the Bargello Museum with sculptures and works of medieval and Renaissance art. 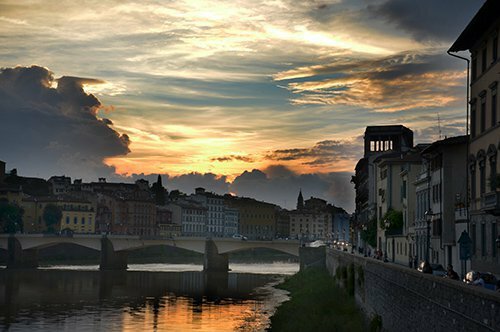 If you have visited the Accademia Gallery, you will find interesting the Piazzale Michelangelo, a splendid panoramic terrace with a view of Florence that houses one of the copies of David by Michelangelo or the Casa Buonarroti in memory of this artist. 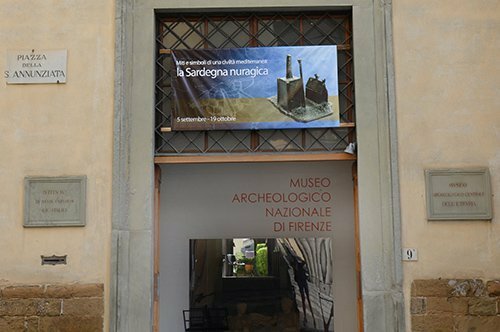 Near the neighborhood of San Niccolò, at the foot of Piazzale Michelangelo, visit the Bardini Museum. 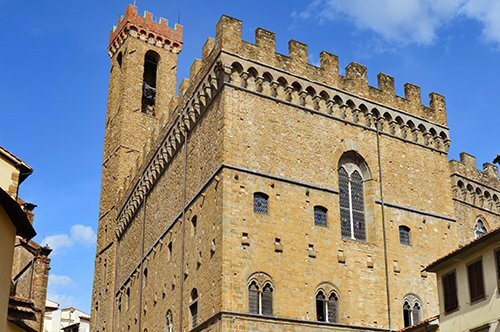 If your visit is centered in Florence, you can visit San Gimignano with its famous towers or the Leaning Tower of Pisa or even reach Livorno, a city on the Tuscan coast.